Haus of Clarity is a trauma-focused clinic with additional areas of expertise. We are a group of like-minded therapists with a focus and intention toward helping people heal, recover and improve their functioning in a warm relaxing environment. We are committed to providing treatment that is customized to the needs of each person. We believe that when the therapeutic process includes proper guidance and support, people are able to achieve healing, hope and increased personal freedom. Keys to this process include understanding your own experiences and seeing clearly your past and the path forward. Our desire is to walk with you on your healing journey toward self-acceptance and achievement of your potential. Our clients work on a range of goals including understanding the human experience, learning, growth, mindfulness and personal empowerment. We genuinely want the best for you and every person we encounter. We sincerely care for the health and wellbeing of humanity and believe in the positive potential within us all. We are convinced that healing and positive outcomes are possible and attainable. 1. a place of refuge and safety. 2. clear perception of reality. 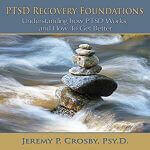 Dr. Jeremy P. Crosby specializes in the treatment of Post-Traumatic Stress Disorder (PTSD). He earned the Doctor of Psychology degree (Psy.D.) in Clinical Psychology from Indiana State University in 2001. He completed advanced training at the VA Medical Center in Lexington, Kentucky, including specialized treatment of PTSD and trauma-related disorders, medical psychology, chronic pain, biofeedback, smoking cessation and hypnosis. Dr. Crosby has taught undergraduate and graduate students for over a decade, both in the classroom and in clinical settings. He worked at the Robert J Dole VA Medical Center in Wichita, Kansas, for 12 years specializing in the treatment of PTSD among combat veterans. At this time, he provides individual and group psychotherapy tailored to the needs of military veterans, law enforcement, fire fighters, first responders and civilians with PTSD or other trauma-related conditions. His therapeutic approach integrates over 50 theoretical orientations, customized to the specific needs of each client. Dr. Crosby also teaches a weekly PTSD class (available in the clinic and online here) for persons with PTSD, spouses, significant others and family members. It is also open to any persons who are interested in learning about and understanding the effects of trauma and methods for recovery and healing. Dr. Crosby has appeared on television and radio programs featuring PTSD issues and options for treatment and healing. He is clinical consultant and associate producer of the film Searching for Home: Coming Back from War (executive producer Anthony Edwards). Dr. Crosby provides consultation and training for businesses as well as seminars for professional and lay audiences. 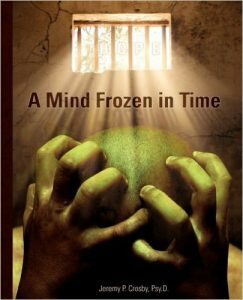 In 2008, Dr. Crosby’s first book was published, titled A Mind Frozen in Time: A PTSD Recovery Guide. It is utilized by clinicians and patients alike in treatment clinics throughout the United States and around the world. As a guide to recovery, A Mind Frozen in Time makes knowledge of symptoms, coping skills and clear actions for how to heal accessible to individuals who are struggling with psychological trauma. The themes and principles utilized in A Mind Frozen in Time apply to recovery from traumatic experiences in both military and civilian contexts. 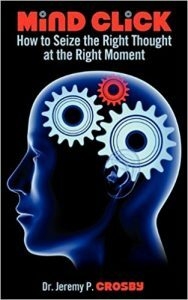 Mind Click: How to Seize the Right Thought at the Right Moment was published in 2009. It features strategies and techniques for maximizing a person’s daily thoughts and outcomes. Through its use, a person can develop clearer thinking and seize new opportunities for effectiveness in all areas of life. Fifty specific topics/issues are delineated at the end as areas of focus for upgrading one’s thinking and problem-solving processes. The Civilian Life Field Manual was published in 2010. 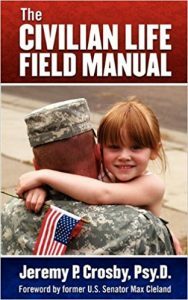 It is a guide for military veterans and their families intended to help with the readjustment process after deployment. The book is intentionally brief and to the point – addressing practical daily issues and situations that returning veterans will be facing, unbeknownst to them. Strategies and skills for navigating the culture shock of returning home are explained in everyday language. In addition to the books that are available in both paper and electronic formats, Dr. Crosby has developed audio books that are designed to be utilized as healing tools – either to augment the benefits of therapy and self-study, or to fill the needs of individuals who cannot read, struggle to read or who learn best by listening. 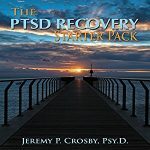 The PTSD Recovery Starter Pack and PTSD Recovery Foundations present crucial information about trauma, PTSD, and the critical knowledge and skills required for healing and recovery. Both are approximately 1 hour in length and are available from amazon.com. Dr. Crosby served as Associate Producer and Clinical Consultant for the 2015 film Searching for Home: Coming Back from War. 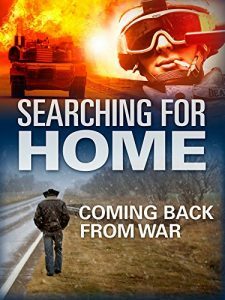 Searching for Home: Coming Back from War explores, in their own words, the Truth, the Healing and the Hope of veterans from all generations returning home from war and their search for the “home” they left behind – physically, mentally and spiritually. From World War II, Korea and Vietnam to modern-day conflicts, Searching for Home is a multi-generational documentary that chronicles the journey from battlefield to home front and the search for healing and eventually hope. Maryann Petersen values a holistic approach that cultivates the development of insight, newness and peace in your life. Maryann brings her life experience, professional expertise, research and compassionate heart to her therapeutic work and encourages you to not struggle or suffer alone, but instead to get the help you deserve. She provides strategic and confidential therapeutic care, and her nurturing and compassionate qualities will guide you on the path towards the change you desire. Maryann treats individuals, couples and families and offers therapeutic group sessions. While her focus is trauma and PTSD, Maryann treats all aspects related to mental health including spiritual concerns, depression, anxiety, self-worth, abuse history, identity and sexual issues and beyond. Maryann became fascinated with human resiliency and the ability to heal during her undergraduate studies. She focused on humankind’s immense ability to overcome throughout history, even after suffering severe trauma, poverty, war and genocide. Maryann continued her learning by working abroad in several geographical areas challenged by intense poverty and violence. This led her to more in-depth research on the human experience, particularly human suffering and the ability to not only survive but to thrive. 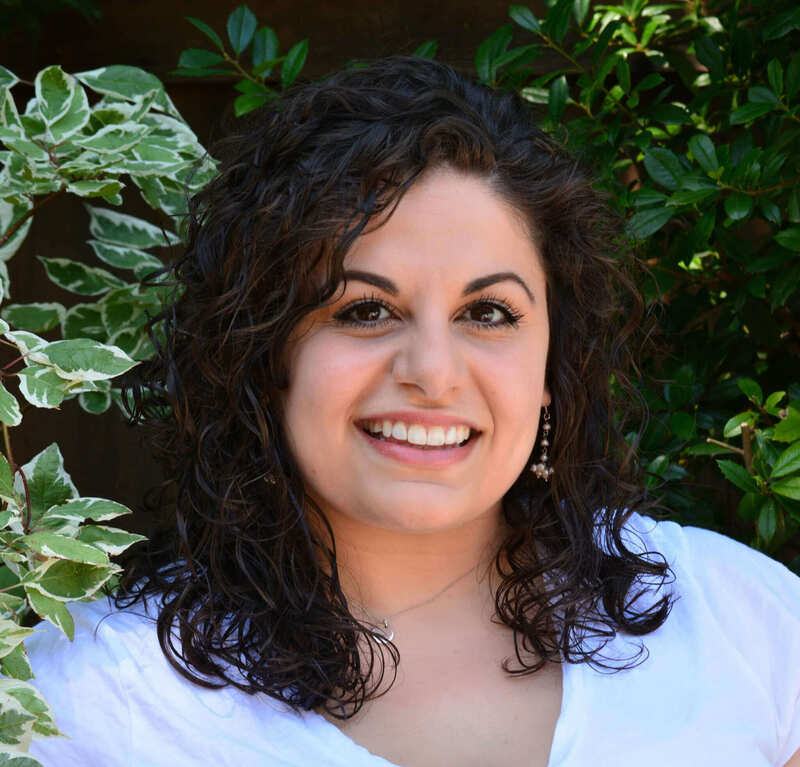 Her passion for seeking healing and cultivating resiliency brought her to pursue her MS and become a Clinically Licensed Marriage and Family Therapist (LCMFT). In order to focus more intensely on her specific passion to relieve the debilitating effects of trauma, PTSD and other life challenges, she became an Advanced Certified Hypnotherapist (ACHT) in a two-year intensive experiential training. This propelled her own continuing transformation and solidified her expertise in helping others receive relief and healing. Maryann’s diverse life experiences mirror her diverse experiences in the mental health field. 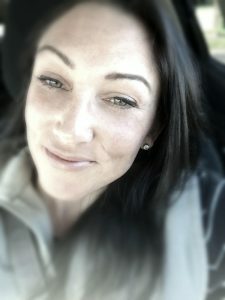 She has a wide range of training and professional expertise, from her work at a psychiatric inpatient residential facility with adolescents, to her long-time specializations in trauma and PTSD, to her current private practice setting where she continues to be passionate about providing consistent high quality care. Maggie is passionate about helping people through their personal struggle to reach peace, acceptance, and understanding. She particularly excels in working with those who have experienced trauma in their lives. She combines traditional and non-traditional methods in her therapy, utilizing traumatic events to gain profound growth and change. She uses this method to highlight and build upon the individual strengths of her clients. Maggie tailors her sessions to each individual’s learning style. Her straightforward approach allows people to grasp complex concepts quickly and easily, allowing her clients to move forward with greater confidence in their lives. Maggie is broadly experienced in multiple therapy settings including private practice, group therapy, and educational classes. Maggie has also served as an adjunct psychology professor at Friends University and has received advanced clinical hypnotherapy training. She interned at the Department of Veteran Affairs, focusing on PTSD. Maggie also has many years of experience in both medical and veterinary settings, including time as an EMT. Her experience provides valuable perspective to help her clients through transitional life experiences and traumatic events. In her free time, Maggie enjoys reading, woodworking, playing with her dog, Watson, watching her favorite show, The Grand Tour, and exploring local adventures. To learn more about Maggie visit her website sahatherapy.com. 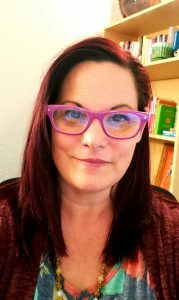 Tiffany is a Licensed Clinical Marriage and Family Therapist (LCMFT) and a Certified Hypnotherapist (CHT) with a Master of Science degree in Marriage and Family Therapy from Friends University. At the Robert J. Dole VA Medical Center, Tiffany received supervised training in identifying and treating Post-Traumatic Stress Disorder. She has also counseled individuals, couples and families in pursuit of relief from various emotional, behavioral and relational struggles. Tiffany spent time on the White Mountain Apache reservation where she joined with clients in crisis as they learned to value life and gain freedom from addictions. Tiffany seeks to empower clients as they reshape and restore their lives following traumas and other life-altering circumstances. She is committed to assisting clients as they build identity, live with integrity and achieve sustainable change. She desires to journey with clients—by increasing their education, growing their insight and developing their individual strengths in order to reach a space of hope, healing and harmony with self, others and society. Tiffany believes that the very essence of the therapeutic relationship is healing. She views humans as resilient and capable of growth—if given the right context. Tiffany strives to create this sort healing space for her clients. Scott Spradlin specializes in Dialectical Behavior Therapy (DBT) and mindfulness-based therapy. He works with patients struggling with suicidality, self-harm, addictions and BPD. He works with teens and adults. He is the author of "Don't Let Your Emotions Run Your Life: How Dialectical Behavior Therapy Can Put You in Control" (New Harbinger 2003). He currently provides DBT services at Wichita Treatment Center working with patients in Methadone Assisted Treatment and he provides mindfulness-based therapy and DBT at Haus of Clarity. He has practiced DBT for twenty years and completed DBT intensive training with Behavioral Tech, Seattle, WA. 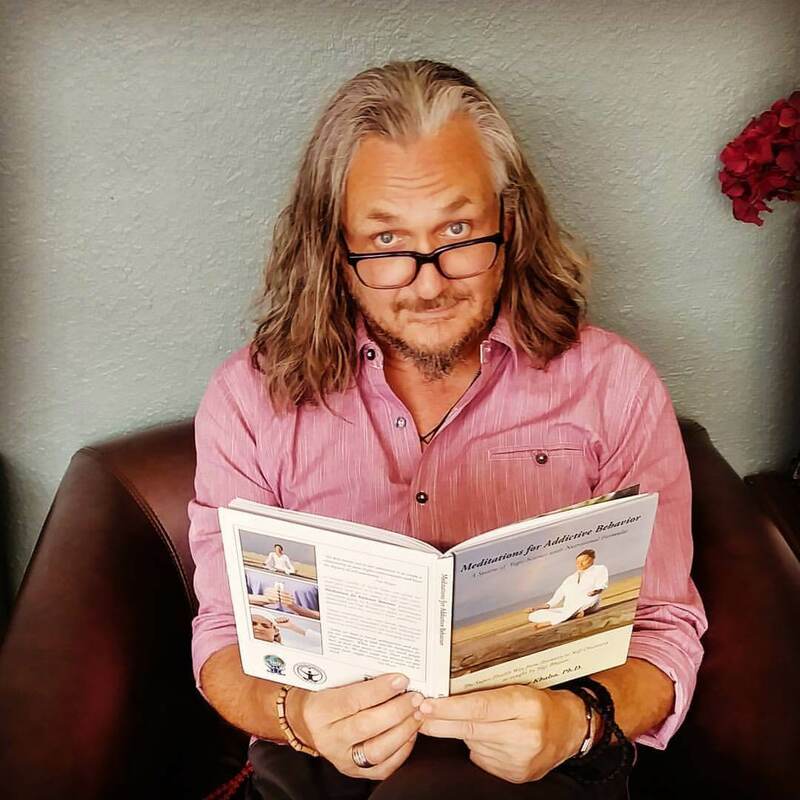 Scott is currently also working on developing Mending House: Wichita Center for Mindfulness to expand mindfulness-based therapies in the Wichita community. He has been an adjunct professor at Wichita State University where he taught courses in Dialectical Behavior Therapy (DBT), religion and spirituality in psychotherapy, the assessment and treatment of self-harm and suicidality, and CBT for anger management. He has also been a speaker for PESI, Inc providing continuing education programs for professionals across the United States. He holds a Bachelor of Science in Biblical Studies and Family Ministries from Manhattan Christian College and the Master of Arts in Counseling from Covenant Theological Seminary in St. Louis. Todd Hawkins BFA, LMSW, has a heart for helping children, teens and young adults. As a licensed master level social worker, he specializes in helping them to realize their full potential and be the most successful version of themselves as possible. His creative style and approaches to treatment include combining art techniques and traditional style therapy to achieve a healing balance. Mr. Hawkins earned his Master’s degree from Newman University in 2005. He also has a degree in studio art that he acquired from Pittsburg state university. His combining these two passions to help others suffering from difficult memories and experiences. When I became a Licensed Marriage and Family Therapist, my goal was to establish a practice that was informal, compassionate, trauma-informed, and client-led. I am motivated by your wellness, your health, and your success (whatever that looks like for you). This means that a session with me is pretty laid back. We can talk or try guided imagery or EMDR (trauma therapy), coloring or playing with sand. You are in charge. My life experiences and education are available to enhance your wellness. I primarily work with teens, young adults and women and specialize in trauma recovery, particularly spiritual trauma, which can include religious trauma. I specialize in women and women's issues. Together, we will work on boundaries, assertiveness, and your own spiritual wellness. Entering into a therapeutic relationship is difficult, I get it. I would love to meet you and walk beside you in this journey. See you soon. Aubony is a Licensed Professional Counselor and Advanced Clinical Hypnotherapist in Kansas City, Kansas. Specializing in trauma recovery, narcissistic abuse recovery, and relationship issues, Aubony utilizes a variety of interventions to aide in your personal growth and healing. 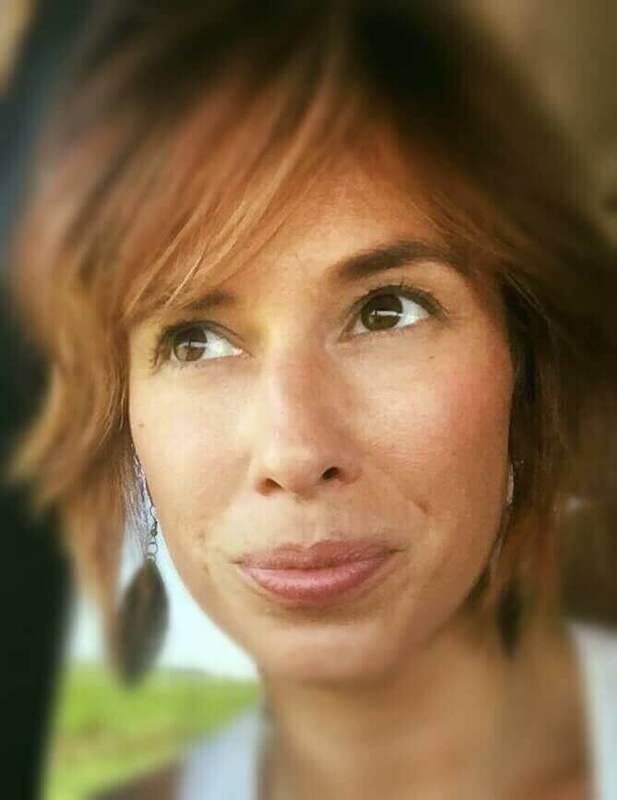 Aubony’s continued research on the nervous system and mind-body connection inform all of her work, and can help clients heal at the deepest levels. A former art professor, Aubony also includes therapeutic art projects for a more creative and expressive healing experience. Most of all, Aubony’s unconditional warmth, empathy, and humor bring a level of comfort that can take away any uneasiness or nervousness about the therapeutic relationship. Aubony loves working with teenagers and adults who are ready for a more genuine, life-applicable therapeutic experience. Adam is licensed as a Professional Counselor through the Kansas Behavioral Sciences Regulatory Board. 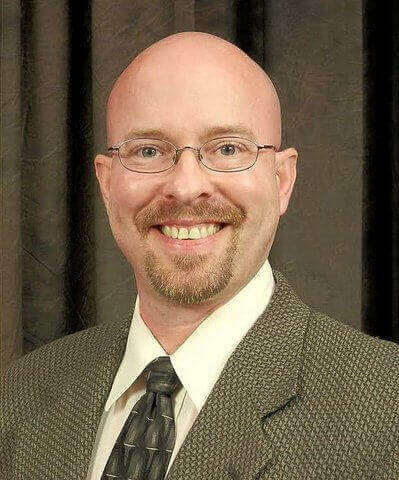 He received his Bachelor’s of Science in Human Services and Psychology from Friends University and his Master’s of Science in Mental Health Counseling from Emporia State University. 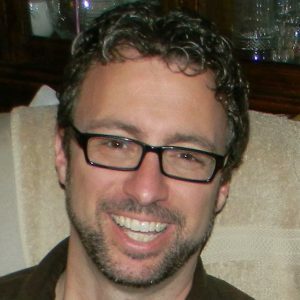 Adam provides counseling services to children, adolescents, and adults to address a multitude of psychiatric conditions. He enjoys utilizing approaches and information from multiple fields including traditional therapy, art, music, nutrition, and exercise to promote overall well-being. 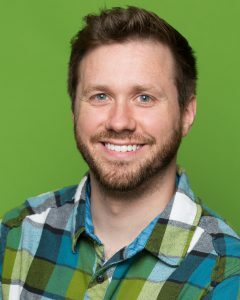 Adam has worked with and provided consult to community mental health centers, alternative/behavior modification schools, hospitals, law enforcement, and state foster care agencies. He has co-counseled groups for clients with traumatic brain injuries and led psychosocial rehabilitation groups for children and adolescents. When time allows, he enjoys teaching Abnormal Psychology courses at Butler Community College. Adam’s professional and academic areas of interest include theory, differential diagnosis, and personality. When not counseling, you’ll find Adam taking photographs, writing, playing piano, visiting art shows and galleries, and participating in film festivals. 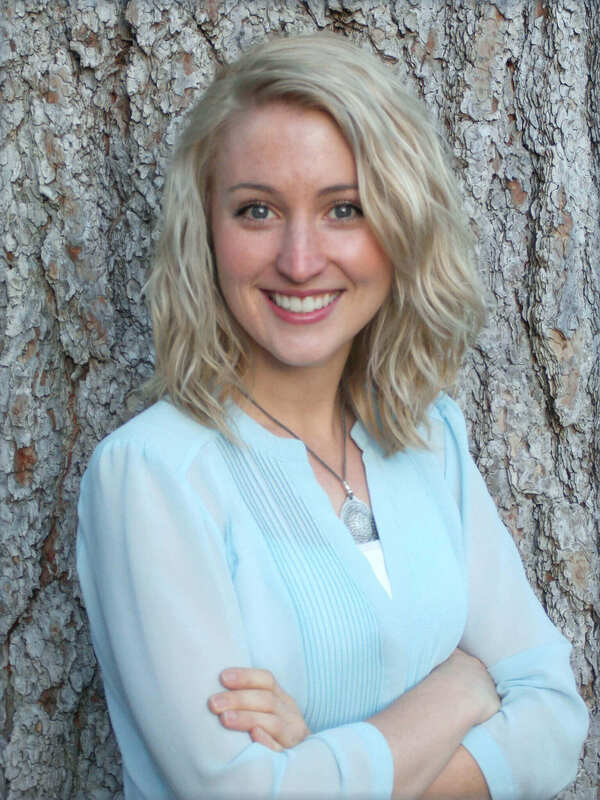 Amy is a clinically licensed professional counselor in Kansas and licensed professional counselor in Oklahoma. She received her BA in psychology in 1995 and MS in Community Counseling in 1999 from Oklahoma State University (go Pokes!). Since then she has gained a vast array of experiences working with children, adults, couples, and families in multiple settings. 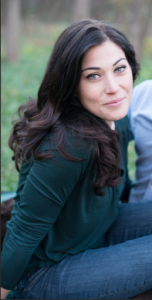 Amy specializes in supporting people working with complex trauma, primarily with teens and adults. She also has experience with addictions, anxiety and depression, mood and personality disorders, as well as relationships and communication, identity and self-awareness, among other things. She is currently completing her practicum as a Phoenix Rising Yoga Therapist and provides yoga therapy sessions in addition to talk therapy. Amy provides a safe and supportive space for a person to notice what is happening now, to explore, and to make choices how to move forward. It is an opportunity to get to know your self in a new way that allows you to access your inner wisdom and to grow. Not sure which therapist might be the best fit for you? Give us a call at 316-927-3010 and speak with our helpful staff to schedule an appointment.